Summer is just the right time for fashion and there is plenty of reason for kids to have a wonderful time as well. So, if you too are looking to give your kid the perfect shoe style this summer, then this blog is going to make sure you do it right. Made from durable fabric by wholesale shoe manufacturers and available in numerous colors and prints, these slip-in sneakers are pretty easy to use for them and look absolutely stunning with colorful socks in stripes or checks, or even solids. These shoes are pretty unisex, and can be worn with shorts, skirts, or trousers as well. Keep in mind that you need to contrast them with the apparel you are wearing on top to make sure that the colors pop out in the best possible way. Loafers have been a classic for grownups, both men and women and the same has come to be for children as well. These shoes are made from suede, fabric, and leather, and the soft colors are perfect for your child’s day look. However, in case of loafers, it is best if you avoid making your little princess wear it, because that does not go well in most cases. Probably the most common time of trendy kids clothing wholesale shoes, you will find a lot of variants of this type in any kid’s retail store. There are available colors and designs galore, with little things like butterflies or lights attached to these shoes to make kids enjoy wearing it even more. You can go for the vibrant bright colors and you really don’t need to worry about giving it to your son or daughter. In fact, the versatility of this product makes it a non-issue to be paired with almost any time of kids clothing available. 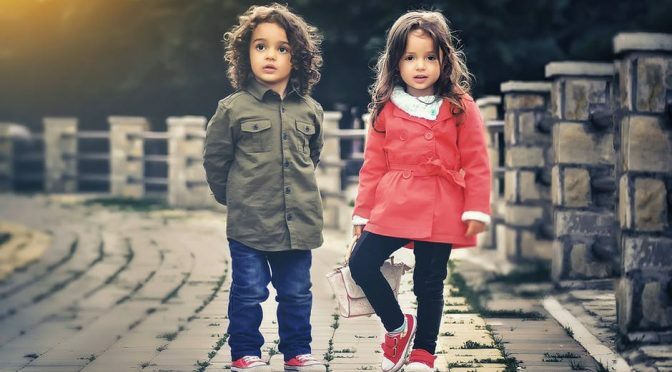 These are the 3 shoes that are hitting the kids fashion stands as the most popular this season and you should bank on their glory too – make sure that your child wears footwear that steals the limelight.